The latest upgrade to our flagship macOS product is available. Pretty Good Solitaire Mac Edition 3.30, available from Goodsol Development, is the best Solitaire game for Mac computers. This version of the game can be purchased and immediately downloaded for only $24.95, and it is a free upgrade for customers. This Pretty Good Solitaire Mac Edition update adds another 100 games, for a total of 700 games, plus another 90 bonus games not accessible in the trial version (for those who want to try it first). In addition to the new games, this version 3.30 update addresses several minor requests from customers, fixes all known bugs, and fully supports Apple macOS Sierra. 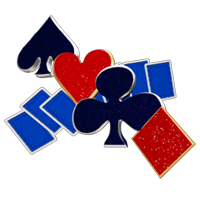 This entry was posted in Products and tagged game, Mac, software, Solitaire by Gregg. Bookmark the permalink.